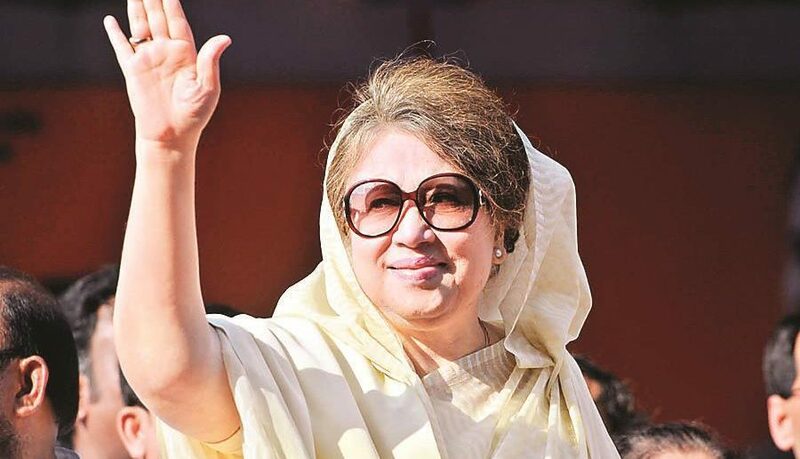 Begum Khaleda Zia, the Chairperson of Bangladesh Nationalist Party (BNP) has met the 20-party alliance leader at her Gulshan office after her return from the UK. The meeting was aimed to set the course of actions ahead and discuss the current political scenarios. Khaleda also suggested for peaceful activities in next parliament election. The meeting, held on November 15, began at 9.00pm and ended at 10.45pm and mostly focused on the latest updates of the country’s political scenarios. However, no important decisions came out from the meeting. Sources said that all of the alliance leaders took part in the discussion except a Muslim League leader. The meeting also suggested offering condolence for the death of former BNP leader M K Anwar and Abdur Rahman Biswas. Sources also informed that the chairperson has told the allies to underscore on Rohingya issue. She also spoke about the Chief Justice recruitment process. On her speech about the CJ recruitment, she called the partners to create political pressures on the government to follow seniority and constitutional procedures. At the end of the meeting, said a top leader of the alliance, Khaleda has suggested using the term ‘Political Activity’ instead of ‘Movement’. Reminding about the Cox’s Bazar visit and the rally at the Suhrawardy Udyan in Dhaka marking the National Revolution and Solidarity Day, the alliance party leaders recommended Khaleda Zia to adopt more people-oriented programs.